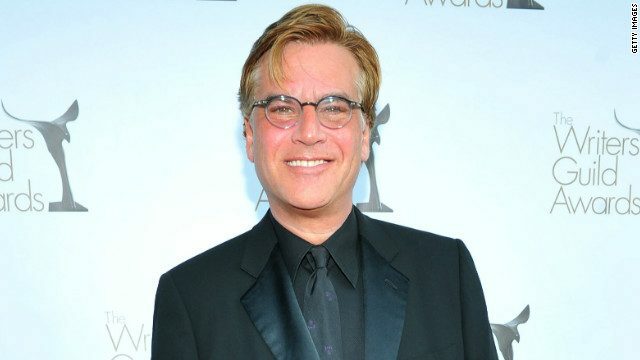 Writer Aaron Sorkin (Steve Jobs) is finally making his directorial debut. According to Deadline, the writer will also direct his script for Molly’s Game. The film is an adaption of the Molly Bloom’s memoir that chronicles her creating and the eventual downfall of Los Angeles’ most exclusive, high-stake poker game. The film is being produced by Mark Gordon as well as former Sony exec Amy Pascal who was revealed to have passed on Steve Jobs because there weren’t any big-draw stars attached to the project. No casting announcements have been made for Molly’s Game. Gordon optioned the book in 2014. Despite being directed by Danny Boyle (Slumdog Millionaire), many saw Steve Jobs as being very much an “Aaron Sorkin film” that more resembled a play than Boyle’s past work. With this being Sorkin’s first time as a director, it will be interesting to see what kind of visual flair, if any, that Sorkin brings to the table. Sorkin doesn’t have any other known writing projects in the pipeline but that could very well change as he is the frontrunner to win the Best Adapted Screenplay Oscar for Steve Jobs which was one of our Honorable Mentions of 2015. Sorkin won the Golden Globe for the Steve Jobs script. Sorkin won both the Academy Award and Golden Globe for his screenplay to David Fincher’s 2010 film The Social Network.